As we say every week, the Philadelphia Eagles' injury report is loaded with ailing players, and their Week 16 matchup against the Houston Texans is no different. Jordan Hicks will return to the lineup, as he does not appear on the injury report. Hicks last played Week 11 against the New Orleans Saints. • QB Carson Wentz (back): Wentz is likely done for the rest of the regular season, and also probably for the playoffs, should the Eagles make it that far. That said, the team has not yet placed him on IR, so they have not yet shut him down for the season. • CB Sidney Jones (hamstring): Jones has suffered several setbacks this season to a hamstring that has never really gotten better. • LG Isaac Seumalo (pectoral): Seumalo was injured against the Cowboys, and Stefen Wisniewski filled in at LG. Wis held his own (with plenty of help) against Aaron Donald, and I suspect the Texans will line up J.J. Watt against him at times this Sunday as well. • DE Michael Bennett (foot): Bennett has been the Eagles' most productive edge rusher this season, as he has collected 8 sacks and 2 forced fumbles. Bennett has played through pain for the last month, and it is expected that he'll do the same against the Texans. 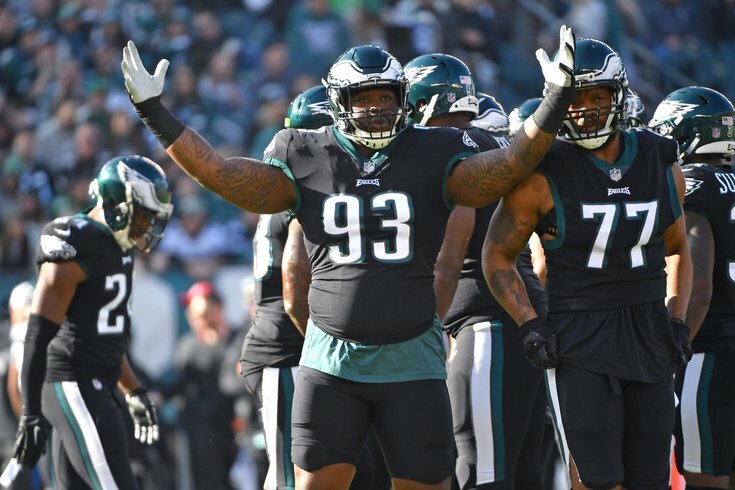 • DT Timmy Jernigan (back): Jernigan played 20 snaps against the Giants a month ago, but he had some back spasms flare up on him prior to the Eagles' win over the Redskins, and has not played since. If he can go, that would be a big boost to the defensive line. • CB Cre'Von LeBlanc (hamstring): LeBlanc is officially an Eagles corner now that he has made his first appearance on the injury report with a hamstring injury. The Eagles need him. Last week against the Rams, the Eagles found a winning formula with Avonte Maddox and Rasul Douglas on the outside, and LeBlanc in the slot. • LB D.J. Alexander (hamstring): Special teamer only. Alexander recovered a fumble last Sunday in L.A.
• S Mike Tyson (concussion): Tyson has 50 career wins (44 by way of knockout), 6 losses, and two bouts resulting in no contest. • RB Lamar Miller (ankle): The Texans' leading rusher so far this season is Miller, who has rushed 193 times for 917 (4.8 YPC) and 6 TDs. There's a possibility that D'Onta Foreman could make a return to the lineup for the first time since he ruptured his Achilles in November last season. Whether it's a hobbled Miller, a rusty Foreman, or an ineffective Alfred Blue, the Texans' run game is likely going to be hampered to some degree. • OG Senio Kelemete (elbow/rib/illness): Kelemete is suffering from the ol’ elbow/rib/illness trifecta. He is the Texans’ starting LG. • CB Johnathan Joseph (hip/illness): Joseph is a good, veteran starting corner. The Texans already have a couple of injured corners on IR, noted below. • WR Keke Coutee (hamstring): Coutee is a rookie receiver with 4.43 speed. When he has played, he has been productive, catching 28 passes for 287 yards and a TD in just 6 games. • DT Brandon Dunn (ankle): Dunn is a rotational defensive lineman. He has 24 tackles and a forced fumble on the season.